How Russia used Instagram to influence the 2016 presidential election. Facebook says 120,000 posts reached 20 million Americans. Here’s what they looked like. 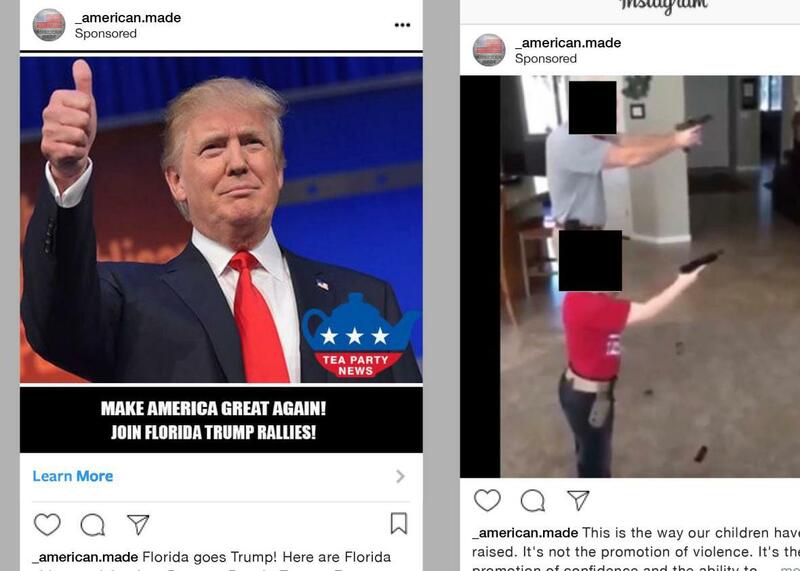 Three examples of Instagram ads allegedly run by Russian actors attempting to influence the election. It’s been a couple months since Facebook confirmed that fake accounts likely originating in Russia bought ads on the platform to sow discord during the 2016 presidential campaign. On Friday, the company revealed that its subsidiary Instagram was also used in an attempt to influence the election. And on Wednesday, as officials from Facebook, Google, and Twitter testified before Congress, House Democrats released examples of the Instagram posts in question. The three shown at the top of this post show the way issues like the Second Amendment were used to create division. The ads are similar in many ways to those posted on Facebook and Twitter, which also targeted things like Sharia law, Black Lives Matter, and gay rights. They’re similar in another fundamental way: They succeeded in reaching millions of Americans. Colin Stretch, general counsel for Facebook, said Tuesday before Congress that malicious Russian actors managed to produce 120,000 relevant Instagram posts, which reached 16 million people from October through the election. The data before October is murkier, according to Stretch, though the company estimates that another 4 million people likely saw content from Russian accounts. Stretch had told a panel of lawmakers on Monday that Russian actors had posted ads promoting fake pages on Facebook and Instagram over two years, which were viewed by millions of Americans. Some users then shared the posts, which broadened their reach. Facebook also sent prepared remarks to Congress noting that the company had removed over 170 Russian-linked Instagram accounts. A Facebook representative said earlier this month that around 150 of the political ads that Russian pages bought on Facebook also appeared on Instagram, which accounts for around five percent of the 3,000 total ads on Facebook. Russian actors paid $6,700 for those Instagram ads.